Summer is coming! That yellow intoxicating light that penetrates through the cloud, then it shines through your skin and it left warmness that word couldn’t describe. Sands beneath your feet, sounds of waves and bird. And the smell, salty air, fresh like a cucumber. I could imagine drowning myself to the blue world, sea. Well, I think that’s enough. I didn’t have any plan on going to the beach soon, I don’t even have a holiday (sad). But, weeks ago Sociolla sent me this cute pouch, which I think, reminded me about summer. This cute yellow pouch is from Armando Caruso- Milan. The design is classic with an interesting fabric which I couldn’t stop to touch. 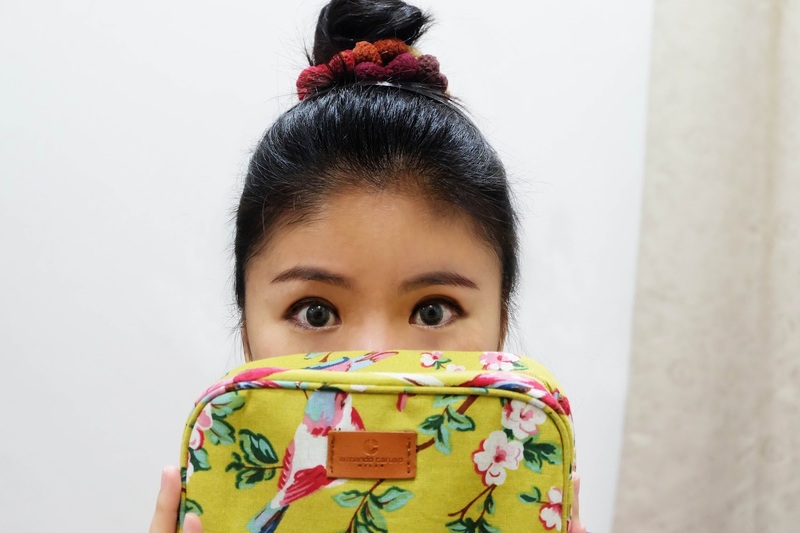 Beside their pretty design, this pouch is big enough for your makeup or anything else you want to put in.